Manchester Security – Safe and Secure for Business will return to the city on Tuesday, 13th November 2018. The event will provide valuable advice on current security challenges that face the Manchester community and beyond. 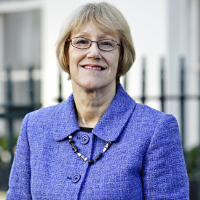 Baroness Ruth Henig CBE, Chair of SecuriGroup – event sponsor, will also deliver a presentation on ‘the value of security’ which will cover the contribution and challenges of regulation within the security industry, and the importance of training and remuneration.